I have had care in many clinics and every area, this one has been consistently beyond my expectations. I have already recommended Advance to several friends. I appreciate being a partner in my own care and being given all the information I need to work towards healing. Very knowledgable, advice and treatment approach always made sense and led to consistent improvement. I have already referred two friends. 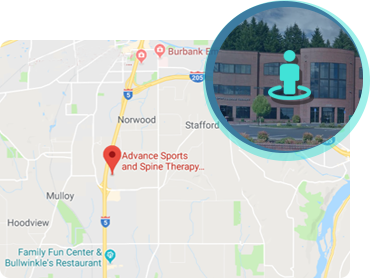 I appreciate the fact that every time I need the services of Advance Sports and Spine I leave without pain and know what to do to keep my body functioning. My time at Advance Sports and Spine has been a great experience all around. 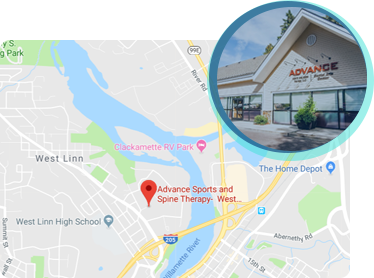 After 2 doctors and 4 previous therapists, I finally have positive results and a great outlook.” J.M.”Advance is extremely talented, they understand the body and are the only ones who advanced my recovery. I am fortunate to have been referred to them. Self sustaining improvement. Developing my knowledge, ability, and confidence to overcome my physical problems through individualized exercises specific to my body. Advance taught me what to do and when a symptom arises and how to avoid bigger problems. I have learned more about my body and how to function with increased mobility and less pain than I have had in decades. Your feedback is important to us. Could you take less than a minute to leave us feedback on your visit? We appreciate your time and the insights will help us better perform in the future! The address above will take you to the front door of Hyatt Training, which will likely be locked. 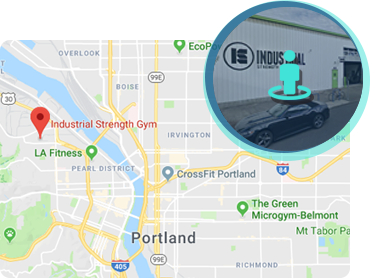 The main entrance will be through the back door through the parking lot, located off Vaughn between 19th and 20th street. 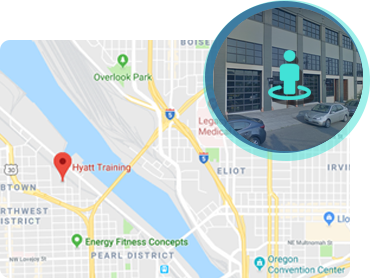 There are 4 visitor parking spots, 2 spots directly in front of Hyatt Training, and free 1-2 hour street parking surrounding the building. If you have any difficulty, please do not hesitate to call our office and we will assist you to the best of our ability.